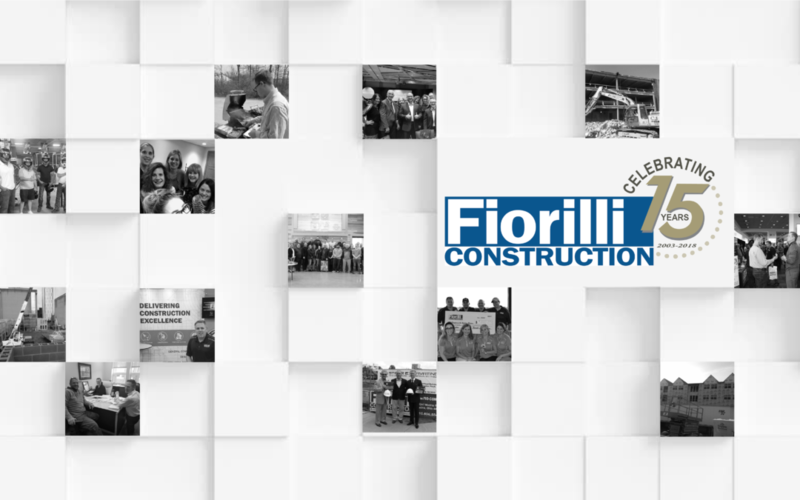 Fiorilli Construction, Inc. announced its 15th-anniversary providing high quality, relationship driven construction services to Northeast Ohio and surrounding regions. Carmen Fiorilli began Fiorilli Construction, Inc. with one goal, make a difference in the construction industry. In 2003, he set out to create a culture where people and relationships come first, believing this was the secret to success. It worked, the company has grown from it’s first project, a $5,000 deck on a house in Strongsville, to a company with an annual construction volume of $35,000,000 in 2017. Watch this video for a deeper look at the “Fiorilli Family” culture concepts in action. Fiorilli Construction, Inc.’s experienced construction professionals serve multi-family, commercial, retail, restaurant, industrial, healthcare, educational, and hospitality clients, including Fortune 500 companies McDonald’s, Walmart, and Verizon. Most recently, the company completed The ENCLAVE for Youngstown State University, a new community-style residential community offering students unparalleled luxuries and unmatched convenience. For more information on Fiorilli Construction, Inc. and their services, please visit http://fio-con.com/. Since 2003, Fiorilli Construction, Inc. has provided high quality, relationship driven construction services, specializing in every level of multi-family, commercial, retail, restaurant, industrial, healthcare, educational, and hospitality projects. As a professional member of the American Institute of Constructors (AIC), they offer the most comprehensive and progressive General Contracting, Design-Build, and Construction Management Services throughout the Midwest and Eastern United States.